March 22nd, 2019: One of Sally Anderson-Wai's photographs was used on the front page of The Gazette, Colchester, with a byline. September & October 2018: Helped publicise the UK tour of The Signatures and Stefan Taylor. February 2018: Presented prizes to the winners of Write Wai's Annual Writing Competition at the Evening Gazette offices in Colchester. January 2018: Visited the House of Commons as part of the Have Gateway's Parliamentary Reception in a bid to have the A120 between Standsted Airport and Harwich in Essex widened. 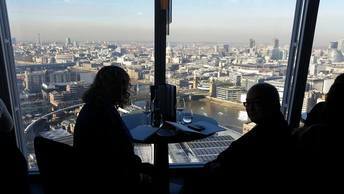 Enjoyed a trip up The Shard in London. November 2017: Sally of Write Wai appeared on television as part of the audience of the BBC Programme 'Question Time'. It gave us great content for our social media which led to an increase in sales. October 2017: We were invited to be one of the experts offering advice on marketing to Startups at Colbea Business Enterprises Annual General Party recently. About 100 business owners attended. We were Colbea Award winners in a previous year and this year's award winners were delighted to receive their awards on the night. February and March 2017: Sally was invited to speak about Write Wai PR & Copywriting Services at various networking events in Colchester and other parts of Essex. Get in touch if you would like us to speak at your event! 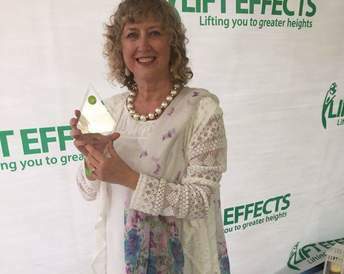 June 2016: Sally of WRITE WAI PR & COPYWRITING SERVICES was presented with a Star Award from Lift Effects.Org for giving time, energy and resources for others. 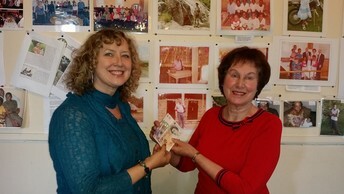 Sally and WRITE WAI have helped charities raise £13,000 during the last 12 months. March 2016: WRITE WAI PR & COPYWRITING SERVICES raised £185 for the British Heart Foundation, Dancing Giraffe CIC and Beacon of Hope (a charity that pays for the education of orphans in the Congo) with a draw and sponsored event. In the past we have helped to raise thousands of pounds for charities. Also occasionally we offer free press releases to help them. 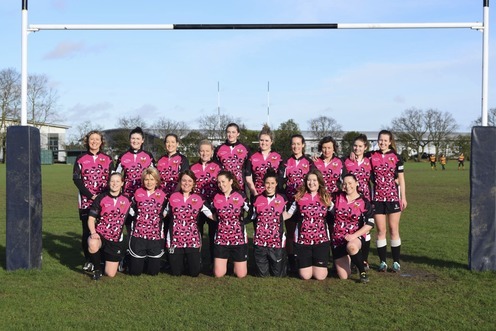 January 10th, 2016: Sally Anderson-Wai, MD for WRITE WAI PR & COPYWRITING SERVICES, made history by being part of Colchester RFU's first ladies touch rugby team, Boudicca Belles. "It's the first time I have featured on the Sports Pages of any newspaper" said Sally, after their 10-1 victory over Billericay Bees was published in the Gazette, Colchester. December 11th: Will Quince, MP for Colchester, presented the prizes to the winners of our writing competition at the Gazette offices in Colchester, Essex (see the news section above). November 28th: WRITE WAI PR & COPYWRITING SERVICES became members of the Essex Chamber of Commerce. We are already members of the Federation of Small Businesses and numerous networks across Essex. October 15th: We are celebrating because at Colbea Business Enterprises first awards ceremony at First Site, Colchester, Essex, we were presented with the Colbea Business Improvement Group's Best Client Award. We were given a trophy, a bottle of champagne an a certificate. Well done us! September 17th: We conducted our first coporate training for a charity in Essex, at Severalls Business Park. September 12th: We were delighted to announce that we were finalists in a national award. Sally Anderson-Wai, owner of WRITE WAI was shortlisted as a finalist in the Most Trusted UK Business Leader Award from a total of 20 people nominated and WRITE WAI PR & COPYWRITING SERVICES was named one of the eight finalists in the Most Trusted Media Company Award category. Although we didn't win, we were thrilled to have been finalists as the public were the judges and it showed our clientstrust us as they must have voted for us. Thank you everyone. September 4th: The international Christian television station, CBN Europe, published one of Sally Anderson-Wai's blogs from 'Sally's Christian Blog' as a daily devotion on their website. She has been invited to submit more articles. August 10th: WRITE WAI PR & COPYWRITING SERVICES was named one of the Top 100 Businesses In Essex that entered the BIG BusinessBoost competition. We won a free place at a business workshop at North Colchester Business Centre. July 15th: The Gazette, Colchester, and Dream 100 published and broadcast stories launching the Journalism Competition 2015 for 11 to 16-year-olds which is run by WRITE WAI PR & COPYWRITING SERVICES and TUTOR DOCTOR COLCHESTER NORTH. This year it is being sponsored by the Gazette and Dream 100 radio. There are great prizes to be won, including tours of our sponsors' offices. May 16th: Sally was presented with a Star Award by Lift Effects for helping to raise thousands of pounds towards the cost of a borehole for a village in Kenya, where locals had to walk a mile to the river for water in the wet season, and walk eight miles to the nearest tap for water in the dry season. May 9th: Sally was invited to speak at a Business Event in Lewisham, London, about marketing for Start Ups. April 30th: Sally was one of the eight experts at Weston Homes Business Centres' well-attended Business Masterclass for Start Ups at The Colchester Centre at Hawkins Road. March19th: WRITE WAI and business friends held a Ladies Pamper Evening in the Methodist Church, Wivenhoe, Essex, and raised a total of £200. The money was shared between Dancing Giraffe, a website that supports disabled people, and Beacon of Hope, a charity which pays for the education of children orphaned by war in the Congo. teaching attendees how to gain publicity and how to write a Press Release. To book a place at one of our workshops on PR, blogging or social media content, get in touch via our contact form. January 4th, 2015: Sally Anderson-Wai, Managing Director of Write Wai PR & Copywriting Services, Colchester, Essex, appeared in the Mail on Sunday. December 2, 2014: The winners of the writing competition run by WRITE WAI PR & COPYWRITING SERVICES and TUTOR DOCTOR COLCHESTER NORTH, supported by the Gazette, Colchester, were awarded their prizes by Colchester's Mayor, Councillor John Elliot. Erin Smith,14, won a Kindle Fire and her school, Thurstable, was awarded £100 in Amazon vouchers. Bethany Hollis,13, of the Colne Community School, Brightlinsea, came second and was given £50 of vouchers and third place went to William Cox of Colchester High School, who received £25 of vouchers. All three winners were given a tour of the Gazette offices in Colchester, they sat in two News Conferences and their articles were published in the Gazette. November 23rd, 2014: The winners of our writing competition were announced. November 19th, 2014: Sally Anderson-Wai of WRITE WAI attended Chelmsford Business Showcase at Hyland House, Chelmsford, and was on a stand with the Business Woman's Network. October 23, 2014: Exhibiting at Suffolk Food Hall, Ipswich, with the Eastern Enterpise Hub. October 22, 2014: Ask WRITE WAI for advice in a 'Meet The Expert' Q&A session on the Biz'ee Women Biz'ee Mums' Facebook page. October 20th, 2014: Booked to speak to business women at the Biz'ee Women Biz'ee Mums Chelmsford group at Buscall & Flynn's, 74 Springfield Road, CM2 6JY. October 14th, 2014: Sally Anderson-Wai of WRITE WAI PR & COPYWRITING SERVICES gave a presentation to members of Colbea Big Breakfast network at Colbea Business Enterprise which was met with applause. October 6th, 2014: WRITE WAI spoke to members of the Biz'ee Women Biz'ee Mums network at The Ivory Rooms, Billericay, who said it had been 'fantastic'. October 3rd, 2014: We hosted a successful 'Crafting Creative Content' Workshop at Colbea North Colchester. Everyone who attended gave WRITE WAI PR & COPYWRITING SERVICES 8 out of 10 or higher for content and satisfaction. They described it as 'valuable', 'inspirational' and 'thought-provoking'. We also unveiled our new banner and held a First Anniversary Banner Competition on Facebook and Twitter to share and Like it. The winner was Debbie Shoaaddin of Colchester, who received a bottle of Champagne. July 19th, 2014: WRITE WAI PR & COPYWRITING SERVICES and Tutor Doctor North Colchester jointly launched an exciting News Writing Competition for 11 to 16-year-olds. Entrants are being asked to submit a 300 to 400 word news article on a local topic and a 200 word explanation of why they chose their subject matter. June 20th, 2014: WRITE WAI visited a new Christian client in Cornwall to discuss future business ideas and had a business meeting on the beach at Coverack. May 14th, 2014: WRITE WAI PR & COPYWRITING SERVICES took part in the Colchester Means Business Exhibition, sharing a stand with other members of the TLGC. On the same day, we received two recommendations on the Essex Girls In Business's Facebook page. May 7th, 2014: WRITE WAI's Owner, Sally Anderson-Wai gave a presentation to the TLGC at the Kings Head, Frating, Essex, which was well received. April 30th, 2014: Sally Anderson-Wai, the owner of WRITE WAI PR & COPYWRITING SERVICES, presented the first prize to the adult winner of our Spring Shot Photography Competition. Sports Massage Therapist, Melissa Mills of Colchester, Essex, won with a picture of her dog, Rocky, in bluebells. She beat scores of other adult entries from as far afield as China, Thailand and the Channel Isles. The judges: Sally and photographer Rebekah Brown of Colchester, had a difficult job choosing a winner because the standard of the entries was so high.The children's category was won by Bridey Mulhall, aged eight, with her picture of snowdrops. April 7th, 2014: WRITE WAI's first workshop was held at Colchester Business Centre, Colchester, Essex, to show people how to write a press release. Nine of the 11 people who attended gave WRITE WAI 8 out of 10 for the content and quality of the workshop. After doing the workshop, one attendee sent off a press release and now has a regular column in a business magazine. March 19th, 2014: WRITE WAI spoke to 400 pupils at Friars Grove Primary School, Colchester, Essex, in our first public speaking engagement. March 8th, 2014: 60 people attended an event successfully organised by WRITE WAI for missionary Sue Hunt at St John's Church, Colchester, Essex. January 21st, 2014: First ever meeting of WRITE WAI's Junior Journalists' Club at Elmstead Primary School, Elmstead, which was covered by the Gazette, Colchester. The members of the after school club produced 'Class Chat' magazine overseen by WRITE WAI. December 20th, 2013: WRITE WAI PR & COPYWRITING SERVICES' website went live and had 700 hits by December 31st.